​Tottenham Hotspur made their long-awaited move to their new stadium in Wednesday's 2-0 win over Crystal Palace, but amid the joy (and relief) some fans took to social media to question why the game was not actually a sell-out. 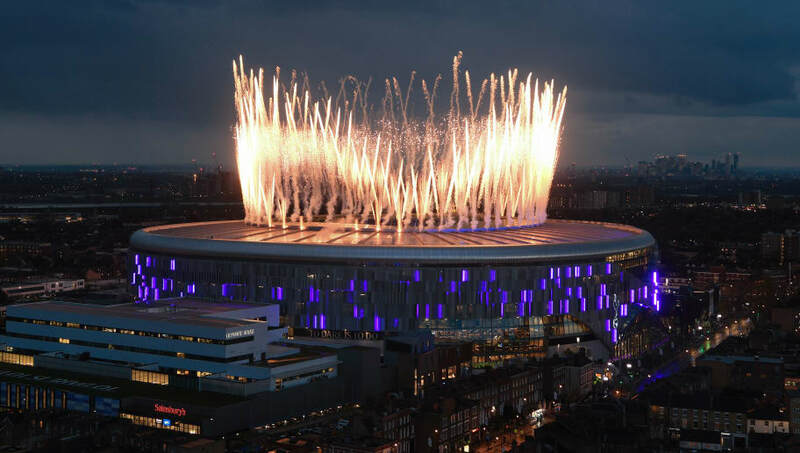 Supporters of ​rival clubs were quick to laugh at Tottenham for apparently failing to sell out such a momentous match, with Arsenal fans in particular enjoying the fact that their own stadium inauguration boasted over 60,000. However, it appears the limitation was deliberate on Spurs' part. The ​Tottenham Hotspur Supporters Trust took to ​Twitter to confirm that several tickets were intentionally left vacant over concerns of potential safety and enjoyment problems. "Aside from those front rows, several Premium seats were unsold, there were some no shows and a few hundred were lost to segregation lines between Spurs and ​Palace fans. As a result, moving day was pushed back further and further, increasing the excitement around the long-awaited transition. They will now play their remaining six ​Premier League fixtures at the new ground, and it appears that all the tickets will soon become available for purchase.